Dallas trio TRUE WIDOW have just shared a full stream of their forthcoming new album Avvolgere (out this Friday)! Check out the blissed-out jams now while you read a new track-by-track interview with the band’s drummer Slim via Self-Titled at this location or via Soundcloud here. The band’s recent Mats Ek-directed video for “Theurgist” can be seen below or here: https://youtu.be/mJsdrKkIvXg. TRUE WIDOW’s fourth album Avvolgere is due out this Friday, September 23 on CD/2xLP/DLX 2xLP/Digital via Relapse Records.Digital and physical pre-orders are available at this location. The forthcoming LP perfects the formula that 2013’s Circumambulation established: Avvolgere rocks and rolls with serene, rounded climaxes and steep, jangling choruses that engulf the listener with waves of downbeat, saccharine melodies and mesmerizing distortion. 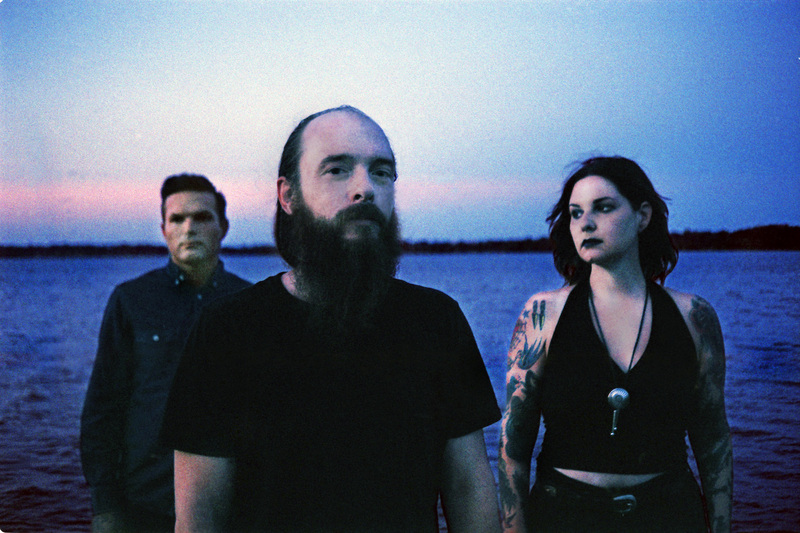 TRUE WIDOW‘s signature alternation between male and female vocals helps further blur the boundaries between the heft of stoner rock, the droning atmosphere of shoegaze, and the twangy catchiness of blues and indie rock.